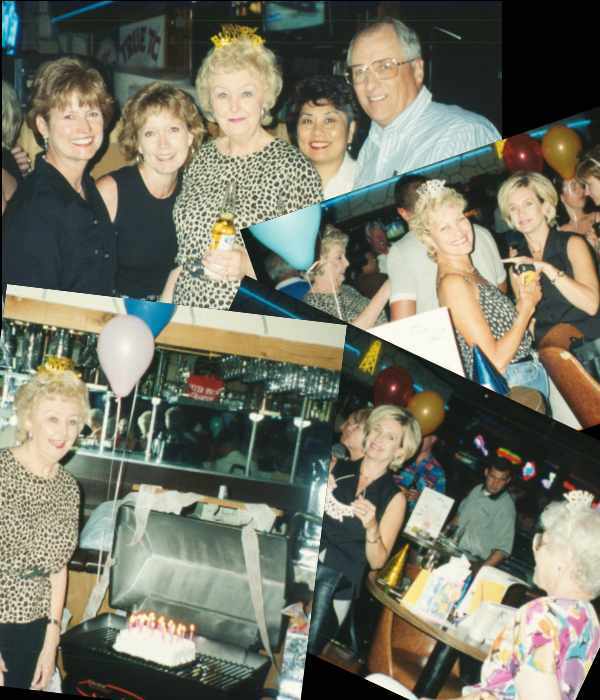 All of Angie's office got together over at W.W. Fairfield's the other night to wish Jody Riley another happy birthday. Looks like there are just a tad over 21 candles on that cake! We're all waiting for Jody to fire up that new BBQ grill and cook us up a feast! Us old folks had to leave early, but I understand that the rest closed down the establishment, and then moved the party up to Jody's place. I heard it didn't break up until 3:00 a.m. — Is that right? Well, Angie's office threw another party! The losers in a sales contest treated the winners to a night out. Jody was the prime planner and put together a great night. Just mouse over the picture for "who's who" and "what's what"! 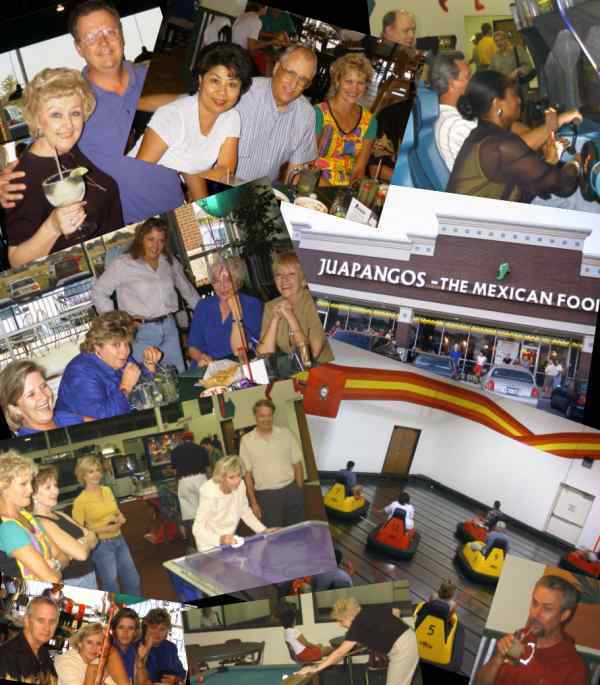 Everyone met at the office where a chartered bus took us to Juapangos restaurant in Plano for a great Mexican dinner. Those Margueritas were great too! After dinner the bus took us over to LaserWhirld, a games center in Plano where we spent the evening playing Laser Tag and Whirly Ball. If you don't know, Whirly Ball is played in those electric "Dodgem" cars using what looks like a Jai-Alai cesta with a monstrous practice golf ball and a basketball backboard. It was loads of fun!